If you like this free game, try Home Makeover Hidden Object. In Home Designer: Living Room, help Hazel with her aunt's living room design as you work on both your logic and creativity to give the house a complete makeover. 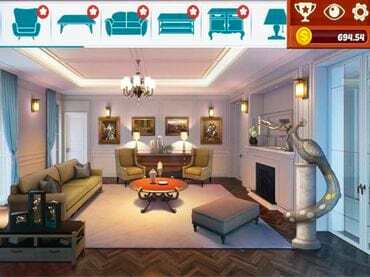 - Home Designer: Living Room is a free full version game to download and play. If you have questions about Home Designer: Living Room game, please contact us using this form.